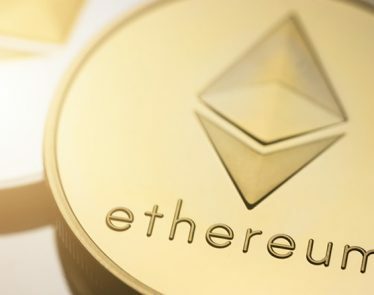 On Wednesday, ETH broke above its previous resistance at $850 and soared past $900, reaching as high as $918 earlier in the day. 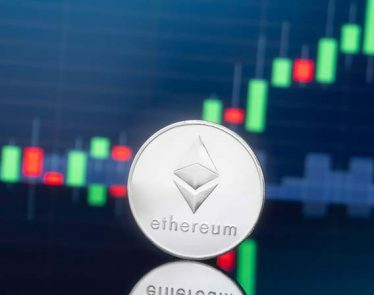 This marks the second time in a week that it managed to break through the $900 level, but this time it seems like further gains are ahead rather than another reversal. 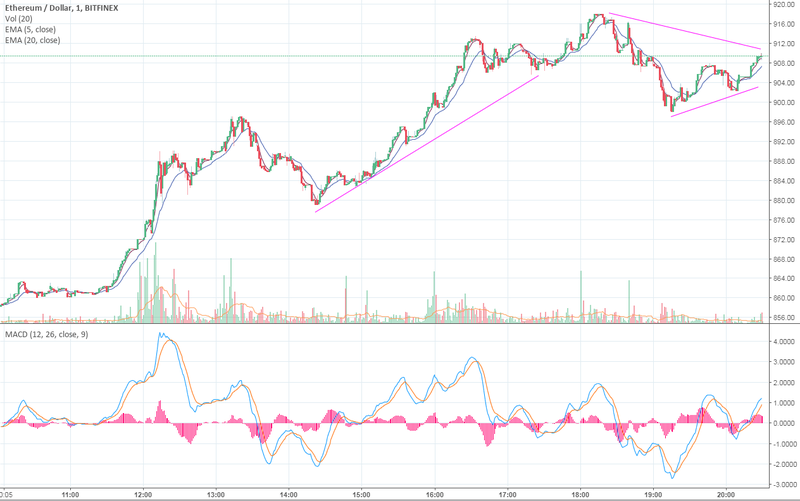 During the day, two major bullish trend lines were formed (as shown in chart), the latter of which has established a short-term support at $895. 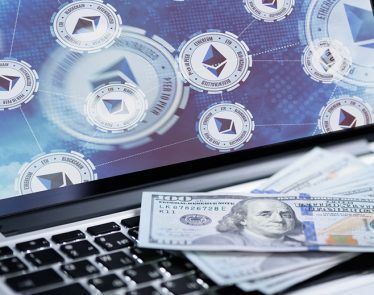 A triangle pattern has also formed following a peak of $918, and it’s likely that ETH will trade between $900 and $910 for a while. 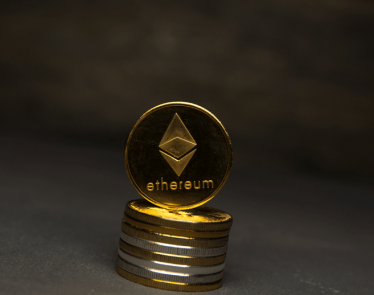 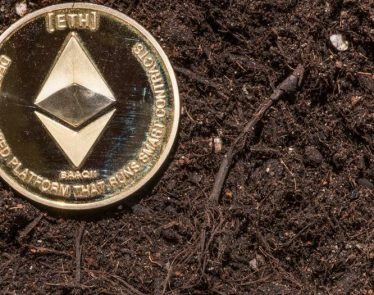 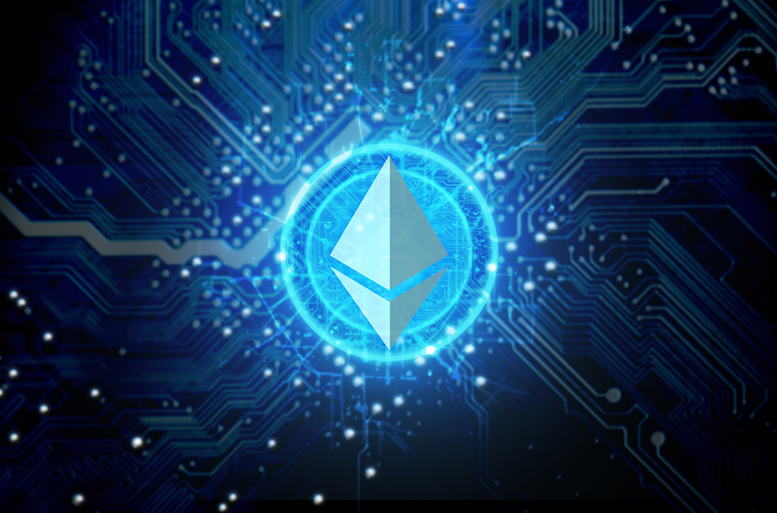 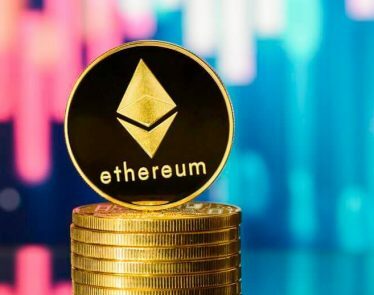 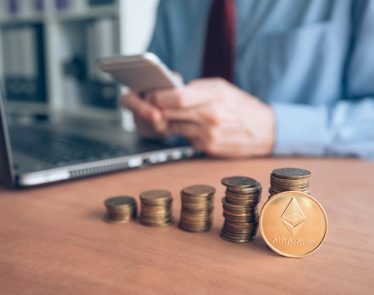 This is good news for Ethereum investors as it is more likely to go back up rather than drop down to $850 once again. 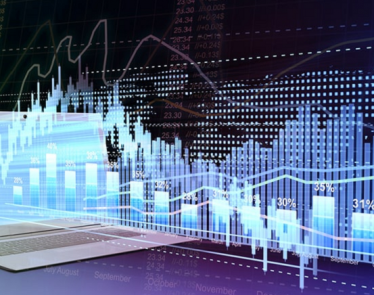 The MACD indicator showed a bullish signal earlier, coinciding with the start of the bull trend. 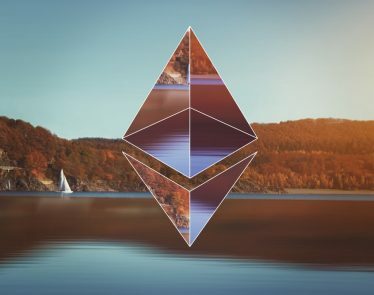 Going forward, a resistance of $920 must be tested for ETH to return to $1,000.